Evelyn Castro received her B.A. in Sociology, Women’s Studies and Spanish at the University of California, Santa Barbara and received her M.A. in Urban Education-­Policy and Administration from Loyola Marymount University. Ms Castro is also an alumnus of Teach for America Los Angeles. 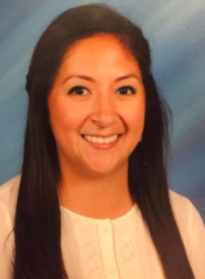 Prior to joining Ednovate, Ms. Castro served as an Assistant Principal at Alliance Health Services Academy High School in Los Angeles, where she led teachers in implementing a rigorous curriculum, reinforced strong school-­family communication, and led the school to full WASC accreditation. During this time she also founded several programs including RISE (Rising Inner­-City Students through Education), a program dedicated to providing students and families with college support and guidance. For three consecutive years, Ms. Castro took three cohorts of high school students in RISE to the East Coast to visit top universities. Ms. Castro is a passionate school leader who believes in creating and nurturing environment where every child is valued and where a student’s strengths, areas of growth, experiences, and passions can inform a truly personalized learning experience that prepares them for college and to make Positive Multigenerational Change in the world. Fonda Held is an educator from Des Plaines, Illinois - the "city of destiny." She has always felt pulled towards education and service, especially the belief that all individuals deserve the chance to feel heard and empowered. She received her B.S. in Social Studies Education from Miami University in Ohio before spending five years on the near-south side of Chicago at UIC College Prep, a member of the Noble Network of Charter Schools. She served there as an Americorps member (and later mentor), high school social studies teacher, department chair and advisor to a group of twenty-four your women. In 2013 she left UICCP to work towards her Masters in Education and Leadership Policy as a trinity Fellow at Marquette University. While there, served in the Carmen Network of Charter Schools in Milwaukee, WI, where she sought to connect her roles as an instructional leader and assistant to the head of schools with her academic engagement with social justice education and critical pedagogy. She is excited to serve the students and families of USC College Prep-Santa Ana as an Assistant Principal in the 2016-17 founding year. Parisa Mazandarani is the Assistant Principal at Legacy College Prep. She graduated from the University of California, Los Angeles, with a B.S. in Psychobiology. She was born in Iran and grew up in Downey, Ca. Prior to joining the education field, Ms. Mazandarani was a research assistant at UCLA studying diabetic mutations. She joined Teach For America and taught middle school science in Hartford, Connecticut. After completion of Teach For America, she joined the 9th grade team at Achievement First Hartford High School, teaching physics, health, and coaching volleyball. She created the school’s first health curriculum and wrote NGSS and CCSS aligned physics curriculum for the network. Ms. Maz is committed to holding students to the highest of standards academically and behaviorally. She promotes positive multigenerational change by partnering with students, parents, and the community of Santa Ana. Sharon Martland graduated from the University of California, Berkeley with a B.A. in Sociology. She is passionate about social justice and expanding educational opportunities for all students. In 2009, she joined Teach For America staff as the Assistant to the Executive Director in the Phoenix Region. Mrs. Martland has supported national diversity initiatives, operations and large scale identity-based events for the Staff Diversity and Inclusiveness team and most recently, had been responsible for operations, logistics, and communications for the Pre-Corps Development team and the Education 4 Justice pilot program. She believes in the importance of involving student's families and communities in their school environment. Mrs. Martland is excited to co-create a welcoming, inclusive, and efficiently operating space for learning and Positive Multigenerational Change at USC College Prep, Santa Ana. Michael Alvarez started music in the 6th grade when he started playing the Alto-Sax. After a year, Mike moved to tuba. In time he became first chair and continued to perform well through high school. In that time he learned 4 other instruments and it was clear that music was the end goal. In 2014, Mike graduated from San Diego Christian College with a degree in Music Performance. He has performed all over the world in various groups. He has taught music performance in the high school setting for two years. Mike believes that everyone is a musician and that everyone has the ability to learn an instrument. Mike hopes that his time at Legacy helps lead students to find their passion and a path of expression. Ruben Arevalo attended Mount San Antonio College in 2011 and completed his AA-T in psychology where he then transferred to Cal State Fullerton and graduated with a BA in Psychology in 2016. Ruben was proud member and high school graduate of the AVID program and tutored mathematics with AVID for 6 six after graduating from high school. He spends a lot of this time in realm of fitness and wellness, participating in athletic events like team baseball and Spartan Races regularly. He is excited to start a new full year of Fitness and Wellness. Alemar Brito completed his B.A in Sociology with a minor in Feminist, Gender, and Sexualities Studies, and M.A. in Secondary Mathematics Education from Stanford University. While in the Bay Area, Alemar has had the opportunity to teach a wide range of subjects including Digital Art, Design Thinking, Biology, and Math. Aside from teaching, Alemar's passions center around social justice, community organizing, and creative expression. Alemar firmly believes that all students can learn math to the highest levels, and uses his versatile knowledge, interests, and perspectives to help students thrive in education and beyond. Alemar is excited to return to Santa Ana and join USC College Prep to continue making Positive Multigenerational Change. Tuyen Bui grew up Santa Ana and attended Los Amigos High School. She studied English and Creative Writing at UCLA and graduated in 2010. In college, she volunteered at an access program called HOPE (Higher Opportunity Program for Education) that supported high school students with academics and peer mentorship in Westminster, CA. She then continued her work in education through Teach For America in the Bay Area where she taught in Richmond and Oakland for 6 years. She is very excited to work with students and families in her hometown. Chelsea Cross completed her B.S. in Mathematics Education and Single Subject Teaching Credential at CSU, Chico. She has taught many math classes including Intensive Beginning Algebra, Algebra I, Algebra Support, Algebra B, Geometry, Trigonometry/Statistics, Integrated Math 1, Integrated Math 2, and Integrated Math 3. She also recently became a yoga instructor. Chelsea is very excited to join the team at Legacy College Prep this year and help students to build the skills necessary to create positive multigenerational change. Thong Dinh graduated with a B.S. in Biological Sciences with an emphasis in biotechnology from California State University Fullerton and received her teaching credential in Secondary Sciences. On her spare time, she enjoys the outdoors and exploring different National Parks. She is passionate and privileged to be working with your students to explore their interests in science related fields. 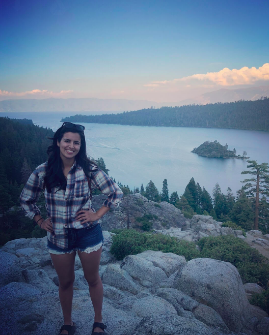 Through inquiry based practices along with science and engineering practices, she hopes for students to truly embark on their interests in science to make connections between real world and classroom experiences. Victor Gonzalez graduated from UC Berkeley in 2012, where he studied English Literature and specialized in Mexican American/Chicano Literature. During that time, he volunteered as an after school tutor in Oakland. His experiences in Oakland, primarily working with the children of Chinese immigrants, reminded him of his own experiences as the child of Mexican immigrants living in East Los Angeles. He spent his last year in college preparing to enter the teaching profession through Teach for America. He has been teaching ever since! He chose to begin a new chapter of his life at a new school because he wants to be part of a school team that provides options and access for the youth of Santa Ana. He works hard so that his students can have the tools, mindsets, and character to choose the lives they want to live. He is overjoyed to have the opportunity to teach students at USC College Prep, Santa Ana. Vicki graduated from UCLA with a BS in chemical engineering, biomedical engineering option. She then began teaching in Washington, D.C. as a Teach For America corps member, where she taught 7th grade life science. While teaching in Washington D.C., Vicki earned her master’s degree in secondary education: chemistry. After her TFA corps commitment, Vicki continued teaching 8th grade physical science at KIPP DC: Will Academy for three years. She then continued teaching in the Uncommon Schools network in Brooklyn, NY and then Troy, NY as a biology teacher. Vicki is passionate about teaching science and instilling that same passion for science in her students. She loves using her engineering background to help students relate the science they learn in her class to current breakthroughs in science discoveries that can impact their lives. Her goal as an educator is to cultivate a sense of curiosity about the world in each student and equip students with the knowledge and skills necessary to gain the confidence to pursue a STEM career. Desiree Lara graduated from UC Irvine with a degree in Criminology, Psychology, and Social Behavior. Ms. Lara is currently pursuing her Masters in Social Work at USC. She enjoys building relationships with her students and seeks to make a collective impact within our community. In her spare time, she also enjoys hanging out with her sons, going to the gym and lifting. Michelle Leon received her B.S. in Science, Technology, and International Affairs with a concentration in Energy and Environment from Georgetown University and received her teaching credential from Loyola Marymount University in Secondary Science. Prior to joining Ednovate, she was part Teach For America in Los Angeles where she taught Biology and Physical Science at both the middle and high school level. She practiced an inquiry-based science teaching methodology in the classroom to promote students' exploration of scientific concepts. She believes in emphasizing the "why" in scientific education and making content relevant and accessible by validating students' background knowledge and differentiating content. Ms. Leon also worked as a Learning Facilitator for the Tiger Woods Learning Center where she was involved in developing a structure for informal/formal learning organizations and Out-of-School Time partners to collaborate and create a learning continuum in order to better prepare students for future careers in STEM. Now, as a Santa Ana native, Ms. Leon is excited to be coming back home and sharing her love of learning with her students. Ms. Leon is passionate about empowering students through their education to help them reach their full potential. Joel Mandujano completed his B.A. in Feminist Studies from the University of California, Santa Barbara. Joel Mandujano is a recipient of the Gates Millennium and CHCI (Congressional Hispanic Caucus Institute) Scholarship. Upon graduation, Joel was accepted into Teach for America, a national teaching program where he was sent to Houston, Texas. Joel spent 5 years in Houston as an elementary teacher. This year marks Joel’s 7th year in teaching. Joel’s hometown is Oceanside, California. This summer, Joel spent his time volunteering at the Chicano Latino Youth Leadership Project (CLYLP). Ashley Michelson completed her B.S. in Business Administration from USC and M.A. in Urban Education at Loyola Marymount University. She taught math for 5 years in Northeast Los Angeles and is thrilled to join Legacy College Prep in its endeavor to create positive multigenerational change. Kyle Michelson earned his B.A. in English with an Emphasis in Creative Writing and M.A. in Education at Stanford University. While in college, he taught high school poetry, preschool math, and middle school analytical writing. For the past two years, he has taught English 10, English 11, and AP Language at Jesse Bethel High School in Vallejo, CA. Kyle is a written and performance poet, and believes fiercely that, through writing, students more powerfully fight for themselves and their community. He is thrilled to join the Legacy family this year. Mr. Ochoa received a B.A. in Spanish with a minor in Italian from CSU Stanislaus and a Master’s from Stanford University. Mr. Ochoa grew up in Mexico and moved to northern California after graduating high school. During college, he tutored Spanish, Italian, and coached competitive gymnastics for USA Gymnastics. He appreciates his language, culture, and traditions; appreciation that wants to instill in his future students. Mr. Ochoa enjoys the outdoors, dancing, exploring cities, reading, languages, and trying new food. Tanya Pacheco graduated from California State University, Fullerton with a B.A. in English, and attended Loyola Marymount University where she received her M.A. in Urban Education with an emphasis on literacy. In 2015, she joined Teach for America and served for 2-years in the Pico-Union district. There, she taught English in a self-contained special education classroom. During the 2016 summer break, she taught 6th grade math during a summer abroad program in Quezon City, Philippines. During her time there, she studied and analyzed the public/private education systems in the country. Ms. Pacheco was born and raised in Santa Ana, and is very excited to be back in her community, serving students, and sharing her passion for reading and writing. On her breaks, Ms. Pacheco loves to travel with her family, and visit local beaches. Karen Quintanilla Barnett graduated from Azusa Pacific University in 2009 with a degree in Psychology and a minor in Ethnic Studies. In 2014, she graduated from the University of Southern California with a master’s degree in Education with an emphasis in TESOL. A highlight of Karen’s career has been working within the farmworker communities in Central California and helping students develop as emergent bilinguals with the skills necessary to navigate daily life. Karen is excited to get to know the Santa Ana community and experience all the joy and beauty here. Karen is excited to become part of the USC College Prep family and get to know all of our beautiful students. Casey Rich graduated from Grand Valley State University in Michigan with B.S. in Political Science & Philosophy. He earned his MA Education from the University of Nottingham, UK where his focus was on instructional strategies for small group instruction. He taught World History & Geography in Shanghai, China for 7 years before returning to the United States. He served in Teach for America for 2-years in Milwaukee Wisconsin where he taught United States History. Mr. Rich has a passion for travel and current events that he loves to share with his students as they grow to become global citizens who will make positive multigenerational change in their community. As you can see, he also loves all different types of food. Kendra Ubierna graduated from The University of California, Irvine, where she received her Bachelors in Education Sciences and a minor in Chicano Latino Studies. Working with students has been an absolute passion of hers, and she is excited to work at Legacy. She loves traveling and has lived in multiple cities including Cuernavaca, Morelos and Huitzuco, Guerrero. Kendra loves Latin American History and identifies as a proud Chicana. Alma Uribe graduated from the California State University of Long Beach with a degree in Chicano Latino Studies and a minor in Political Science. After graduating, she joined Teach for America and started her education career in Cincinnati, Ohio. There, she was the middle school math department chair at the Academy of Multilingual Immersion Studies. Besides teaching 6th through 8th grade Mathematics, she also taught middle school Social Studies and Spanish. Through her teaching experience, Ms. Uribe has learned the importance of getting to know her students and their families. Ms. Uribe believes that in order for students to be successful they need a community behind them, which is why she is eager to work with students, families, and staff at USC College Prep, Santa Ana as the Special Education Resource Teacher to help students obtain a college degree and make their own Positive Multigenerational Change. Mrs. Winger received a B.A. in History and Political Science from Boston University and a Juris Doctor from American University, Washington College of Law. She began her teaching career as a Teach For America corps member in Miami, Florida where she taught 6th and 7th grade social science. She then studied law in Washington, D.C. and practiced immigration law for 3 years. Afterward, Mrs. Winger returned to teaching - her true passion - and taught U.S. history at KIPP DC: AIM Academy in Washington, D.C. She is a native of the Dominican Republic and a mom to a beautiful 4 year old girl. Mrs. Winger loves traveling, reading and enjoying Italian and Indian food. Sonia Wright is proud to be working in her hometown of Santa Ana! She graduated from the University of California, Santa Cruz with a degree in American Studies and Sociology. After graduating, she worked in after school programming in the city of Santa Ana. During this time, she decided to join Teach for America and began working in Nashville, Tennessee with fourth grade. While living and working in Nashville, she completed a Master’s degree in Education from Lipscomb University. Ms. Wright looks forward to working and living in her community again as well as teaching social studies- a subject she is very passionate about. Geraldine Galindo graduated from the University of California Santa Barbara with a Bachelor degree in Feminist Studies in 2012. She also received her Master of Arts in Collaborative Educational Leadership with a Dual Language Concentration from Fielding Graduate University in 2015. She has worked in the education field serving after school extended learning programs with Think Together in grades level ranging from kinder to 8th grade. She has served as a liaison with Los Nietos School District and has supported in school alignment and community partnerships. She has joined our team as Dean of Culture Assistant and Director of Athletics. Her passion for education is highly transparent in her desire to work with older youth and leadership development. She is excited to shape the learning culture on our campus. Most importantly she is excited to build intentional and long lasting relationships with our students, parents and staff. Janet Le earned a Master’s degree in Education from the University of Southern California Rossier School of Education and received her Bachelor’s degree in Sociology and Economics from UC San Diego. As a college counselor, she strives to help students as they work toward achieving their academic and personal goals, and is proud to be a part of a school that believes in every student. Maria Moreno earned a Business Administration certificate and is currently pursuing her Bachelor’s in Business Management. Ms. Moreno has worked in administrative/management positions for more than six years. She did her internship at a prestigious private security company in Wilshire Center in Los Angeles. There, she got involved in the Human Resources, Marketing/ Sales, Operations, and Accounting department. After she relocated to Orange County she worked in a private school in Santa Ana that catered to underprivileged children. Although, most of her time was spent in the office she got a chance to work closely with Syrian refugee students. Ms. Moreno has worked with all types of people that came from various countries with various religious backgrounds. She believes that working with diversity has allowed her to grow both personally as well as professionally. Sonia Rosiles graduated from Chapman University with a B.A. in Dance. Born and raised in the city of Santa Ana, she graduated from Santa Ana High and attended Chapman University. Her studies at Chapman ignited a love for working with youth through her service at a private after school program. Upon graduation, she pursued a career as an educator and taught 3rd, 4th, and 5th grades at a Montessori School in Orange. There, she built authentic relationships within her school community and managed school operations. She also has experience working in retail, where she honed her stellar customer service skills. Sonia is thrilled to be back in her hometown serving students who remind her so much of herself and creating parent engagement opportunities to strengthen the USC College Prep Santa Ana family. Denise Temal completed her B.A. in English: American literature and culture from the University of California, Los Angeles and her M.S. in counseling from California State University, Long Beach. While completing her masters, she served as the bilingual community liaison for Savanna High School, where she co-founded and co-led the Collaboration of Services Team (CoST), which coordinated interventions for students presenting social-emotional and academic concerns. Prior to joining Legacy College Prep, Santa Ana, Ms. Temal was the supervisor of college counseling for Pacific Academy College Prep in Irvine, CA. In her position, she promoted holistic student development for students in ninth through twelfth grade and guided them through the college application process. For two years, Ms. Temal has been a mentor to first-generation Fullerton College students in the Puente program. She is also a presenter at the yearly Adelante Mujer Latina conference through Adelante Youth Alliance in Pasadena. Ms. Temal is excited to contribute to Legacy College Prep.